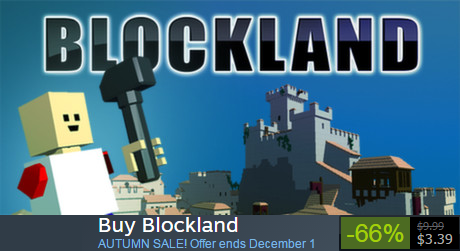 Blockland is on sale for 66% off on steam! Neat; thought it'd be a great time to have a sale since it's been awhile since we've had one. Nice, i'll probably gift one or two copies for my friends. Blockland, the game where you buy alts. We should throw a party for the 200,000th alt account bought. My friend at school got Blockland off of steam for free before this. ID 200000 wont be the 200,000th ID sold.